This house is one of eight structures comprising the Mitchell Block Historic District, which is listed on the National Register of Historic Places. 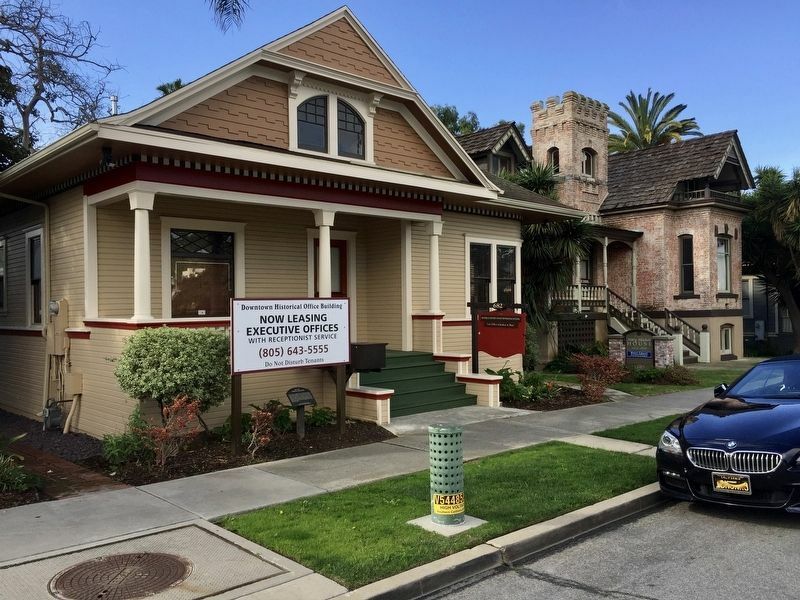 It was built in 1905 by William F. Sittel who purchased the property from the Mitchell brothers, original owners of the block. Elements of the Queen Anne style are seen in the decorative gable roof that extends over the front porch, with Classical Revival features found in the curved corner window with its narrow clapboard exterior. 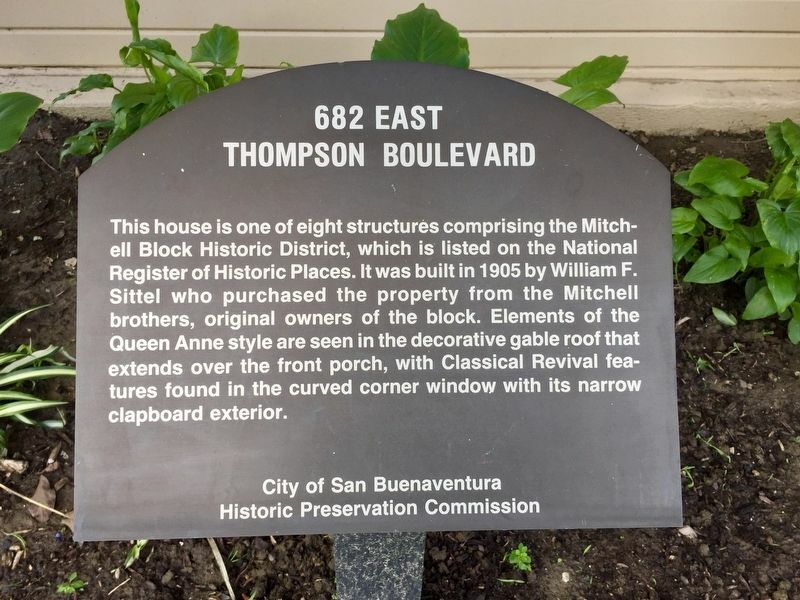 Erected by City of San Buenaventura Historical Preservation Commission. Location. 34° 16.689′ N, 119° 17.42′ W. Marker is in Ventura, California, in Ventura County. Marker is on East Thompson Boulevard (Business U.S. 101) west of South Fir Street, on the left when traveling west. Touch for map. Marker is at or near this postal address: 682 East Thompson Boulevard, Ventura CA 93001, United States of America. Touch for directions. The marker is visible under the "Now Leasing" sign. (about 600 feet away); Sifford House (about 600 feet away); The Hobart/Barr/Lucking Initial Residence c. 1898 (about 600 feet away); Site of the Mayfair Theater, 1941-2000 (about 800 feet away); Ventura Theatre (approx. 0.2 miles away); Dr. Cunane House (approx. 0.2 miles away). Touch for a list and map of all markers in Ventura. More. Search the internet for 682 East Thompson Boulevard. Credits. This page was last revised on March 6, 2019. This page originally submitted on March 6, 2019, by Andrew Ruppenstein of Sacramento, California. This page has been viewed 45 times since then. Photos: 1, 2. submitted on March 6, 2019, by Andrew Ruppenstein of Sacramento, California.